Nikon is a renowned brand that manufactures a range of professional cameras to take high-quality photos and videos. Such types of cameras are primarily used for professional photography, such as in the fields of modeling and portfolio, wildlife photography, and more where the stills must be perfect. Such HD cameras require immense care to function flawlessly not only while in use, but also when kept aside. However, in spite of acting carefully, scenarios like camera flashing random errors due to internal issues might be out of control. Consequently, you lose all the photos and stuff saved on the memory card installed in it. Though you can recover lost or unintentionally deleted photos intact with commercial camera photo recovery software, taking precautionary measures is certainly a wise as well as fruitful decision. On the other hand, when you come across random or a particular error flashing repeatedly and you are not able to take photos, you need to act wisely and fix the errors at the earliest. The error message flashing on the LCD of your Nikon DSLR could be due to any random cause, and you might not be able to figure out what that error intends to convey. In other words, each error code refers to certain issue that has some consequences associated with it. You need to figure out the issue and fix it at the earliest to prevent further issues. When you see FEE or F-- error flashing on the LCD screen of your Nikon DSLR, you might get worry lines on your forehead, wondering what this error is about. What does this error message convey? Well, you need to make sure that the lens is mounted properly. This error flashes usually when the camera fails to control the range of aperture of the lens. In fact, some camera lenses require manual setting of the aperture. Check if your lens has mechanical aperture ring. If it does, you need to rotate the aperture to its smallest value (i.e. the highest value of f-number). With the aforementioned lens aperture setting, use the aperture-locking switch to lock the settings and prevent the error encountering repeatedly. Warning: While installing and/or removing a lens, make sure you apply pressure in the right direction. Otherwise, the lens could get damaged or scratched. In case the error occurs repeatedly after certain interval, make sure the lens and camera contacts are not dirty. Usually when these contacts are dirty or dust accumulated; such errors codes do flash. As you can see in the image (in the highlighted part), the pins on the lens are spring-loaded, which must be able to spring in and spring out properly to keep the lens function properly. In case any of the pins is not able to function properly, this indicates issues with the lens and it requires service. 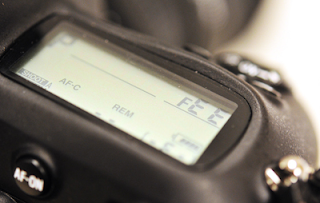 The “Err” message flashing repeatedly in the upper left corner of the LCD of your Nikon DSLR conveys a that there is some sort of malfunctioning in the camera. However, you cannot consider this error message indicating the camera is bad or a like issue is there, but the actual cause of the error is oily or greasy contacts. You can easily fix the issue by cleaning the contacts on both the camera and lens with a dry cloth after dismounting the lens. You may also try another fix if the issue persists after cleaning the contacts and lens; take out the battery and install it again, and then turn on the camera. If the error persists even after that, there is some mechanical fault and you need to contact Nikon support to fix it. A small triangle along with the letter “F” shown on the LCD of the camera refers to an error that says the camera fails to detect the lens properly. This might be due to a bad lens or some other problem might also be there in the camera. In case the lens is attached to the camera, make sure it is mounted properly and no mount or dismount is there. Simply dismount the lens and then mount it again and check if it works. If the same error flashes again, replace the lens and try another. With these errors flashing on the LCD of the camera, it fails to function and requires fixing the issue at the earliest. Alternatively, the issue might result in memory card corruption, and hence the photos loss. 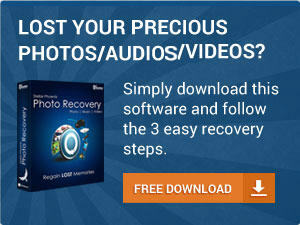 The only hope left in such scenarios is camera photo recovery with a professional photo recovery tool. Note: Before beginning with the recovery, please ensure the recovery tool is reliable and efficient to go with.